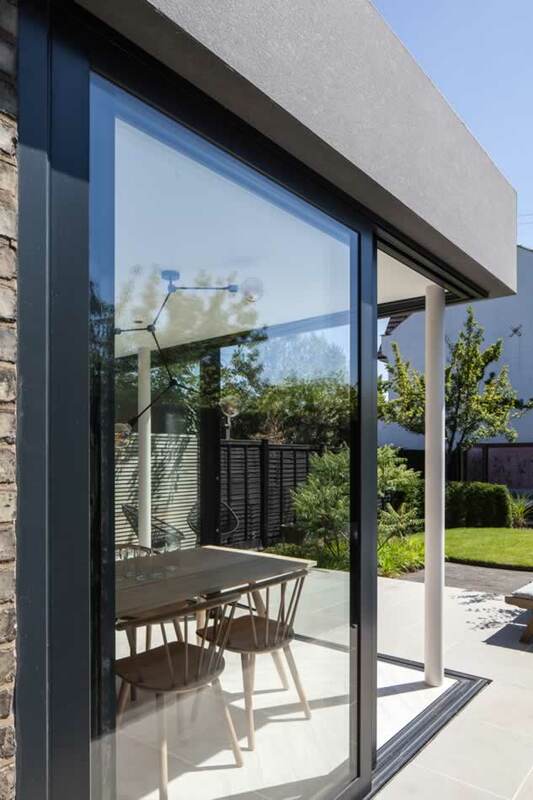 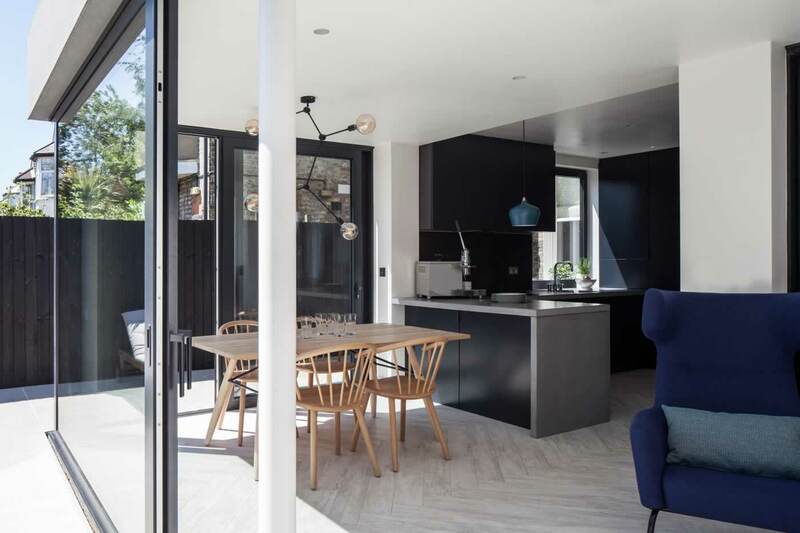 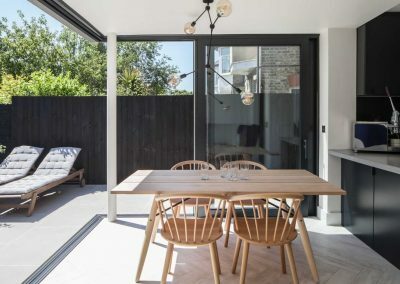 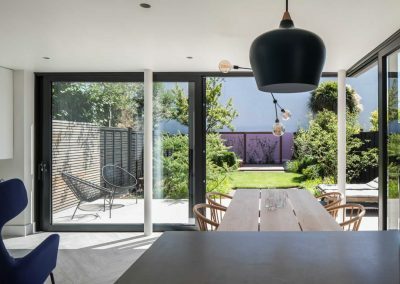 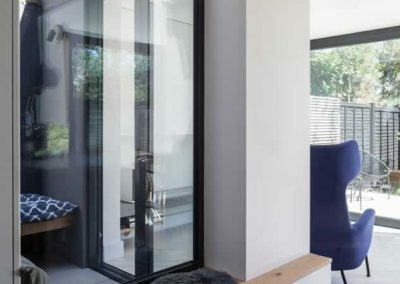 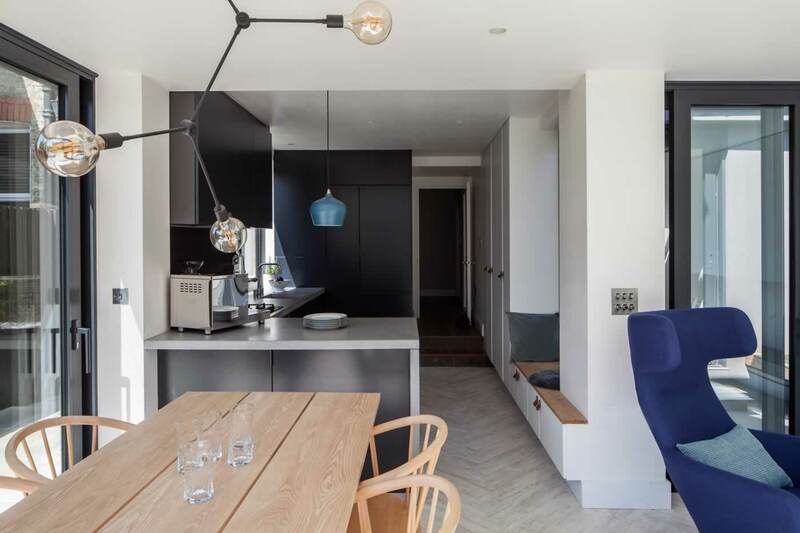 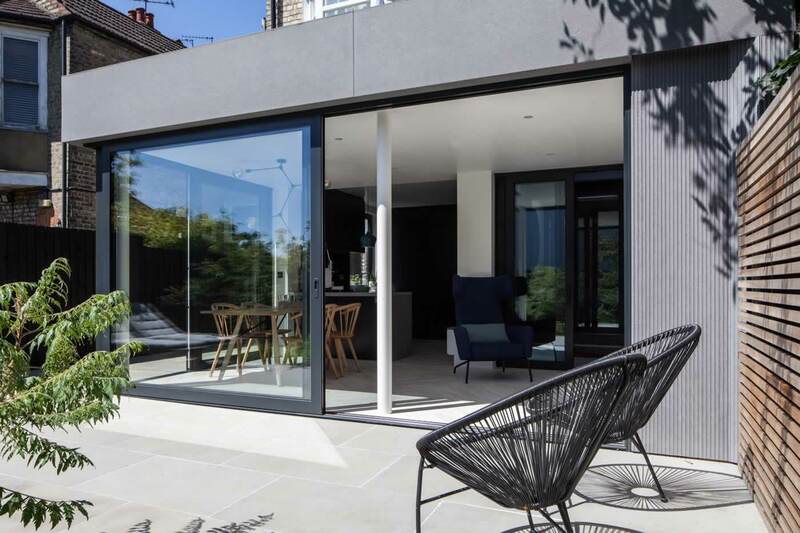 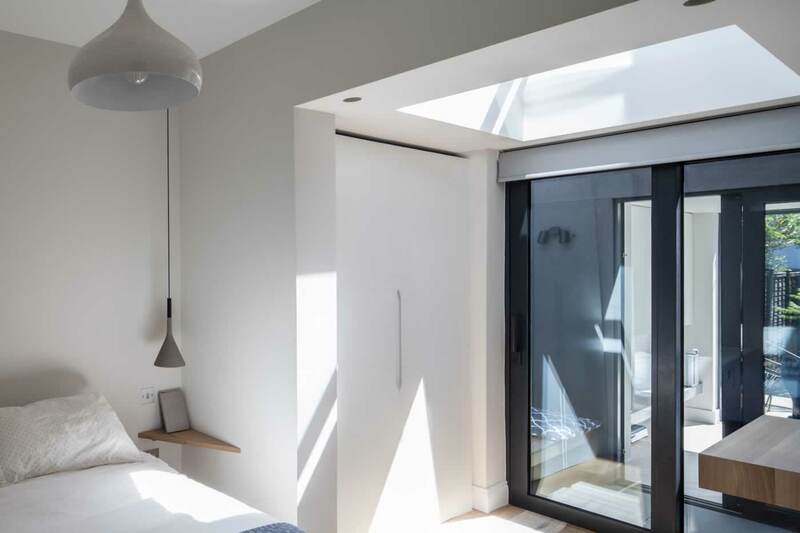 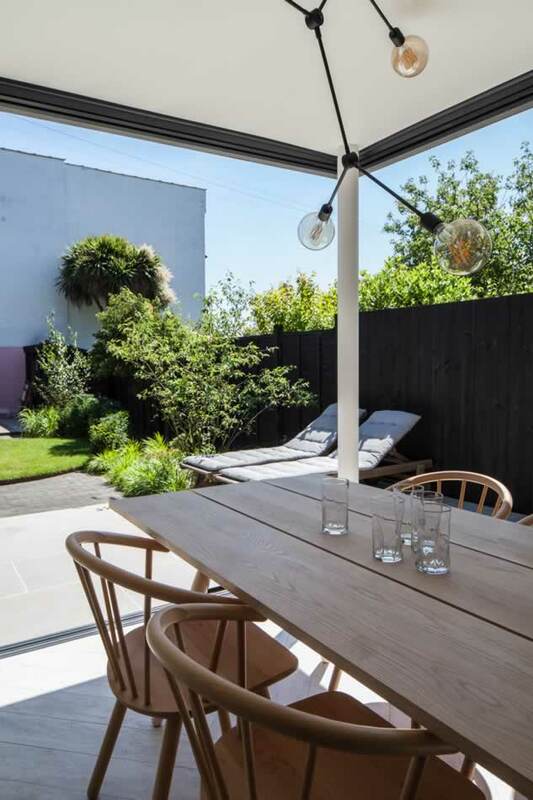 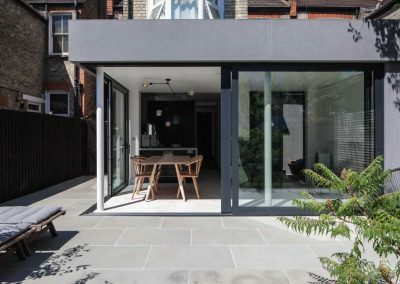 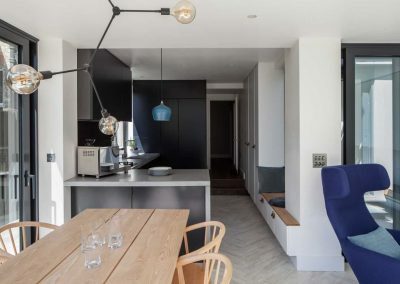 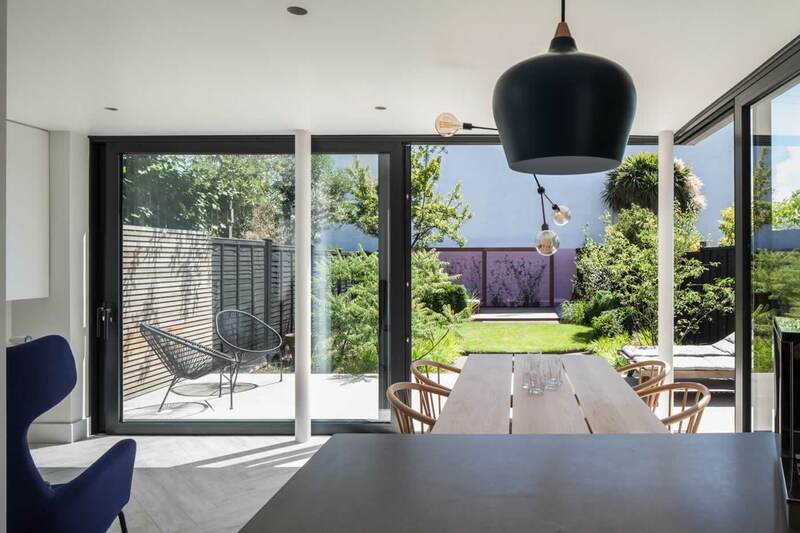 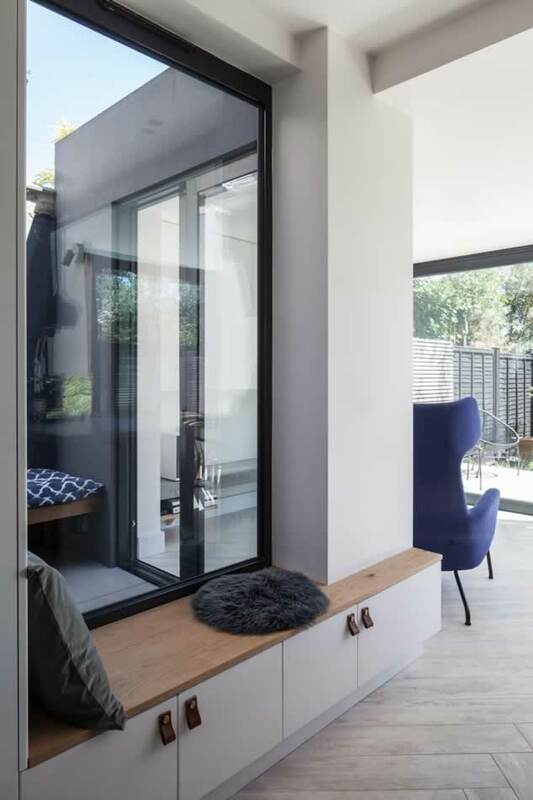 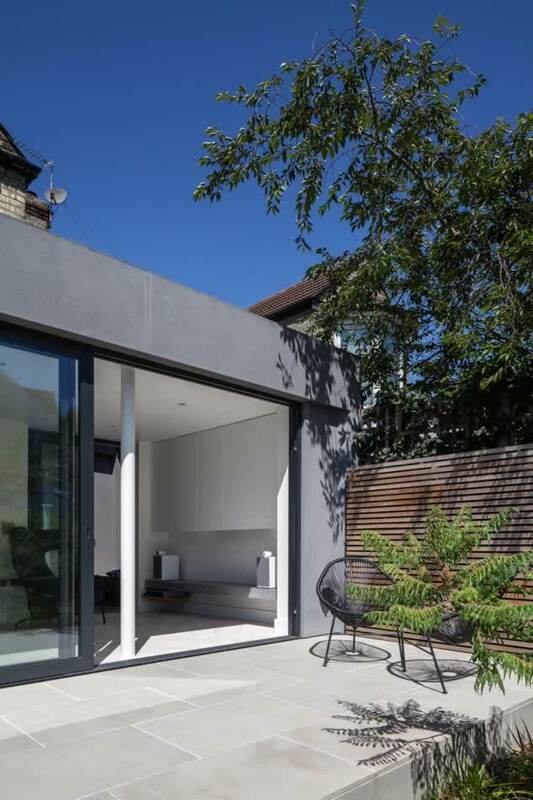 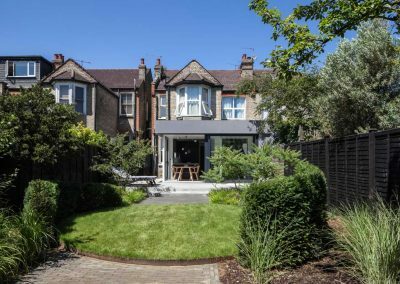 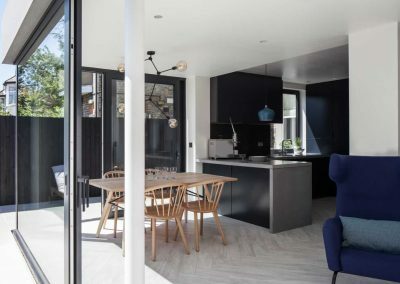 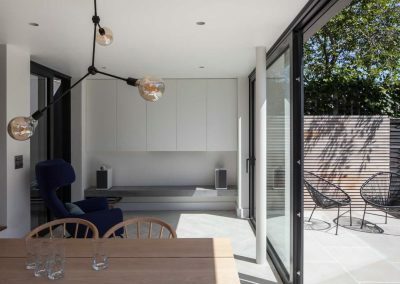 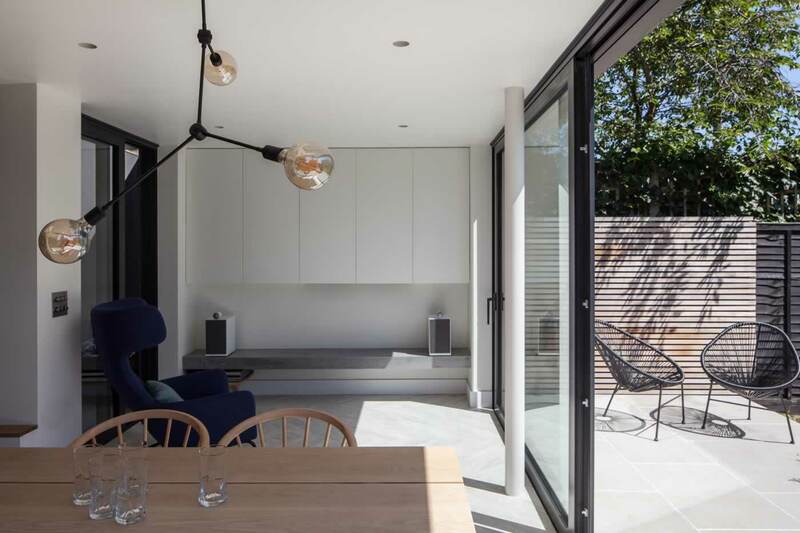 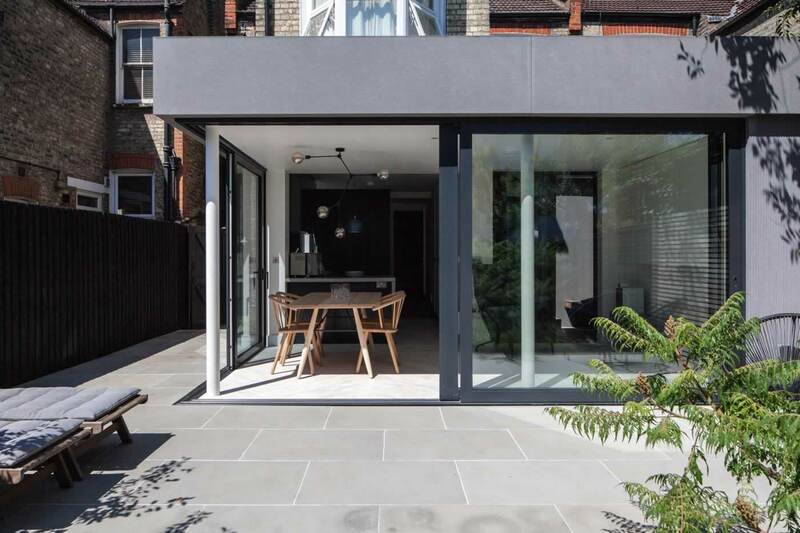 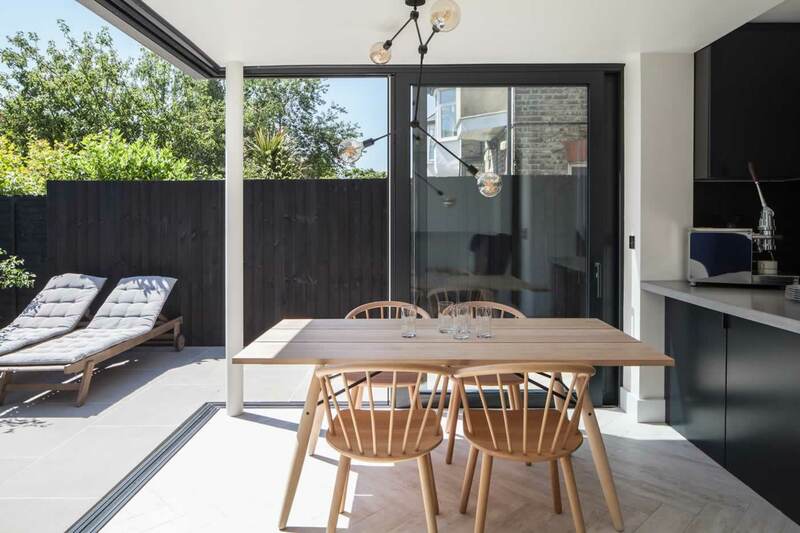 A contemporary extension to a North London 2 bedroom apartment, employing large sliding doors framed with cement board cladding to create a generous extension and spacious dining room. 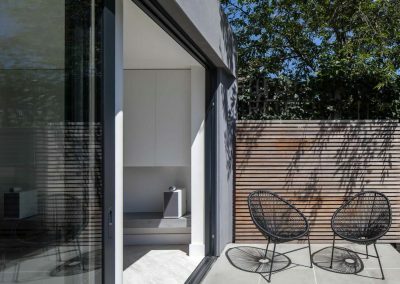 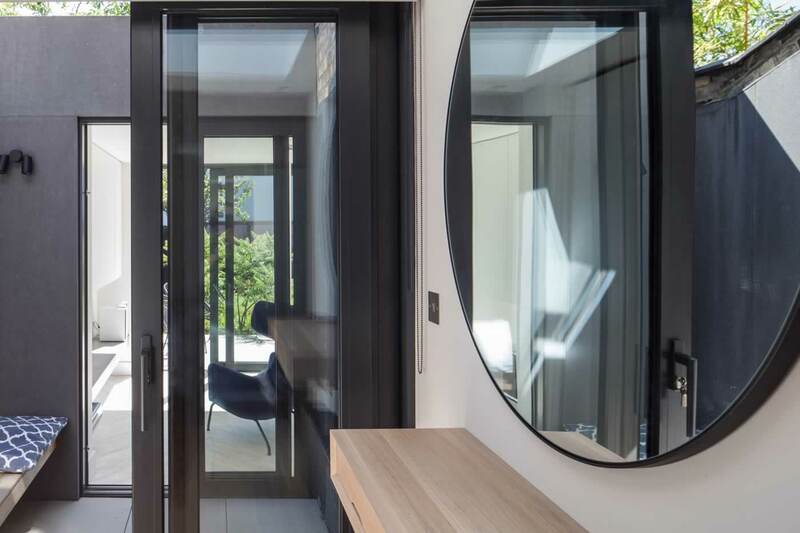 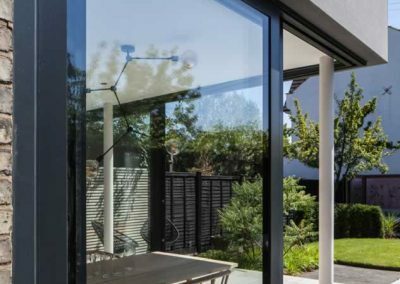 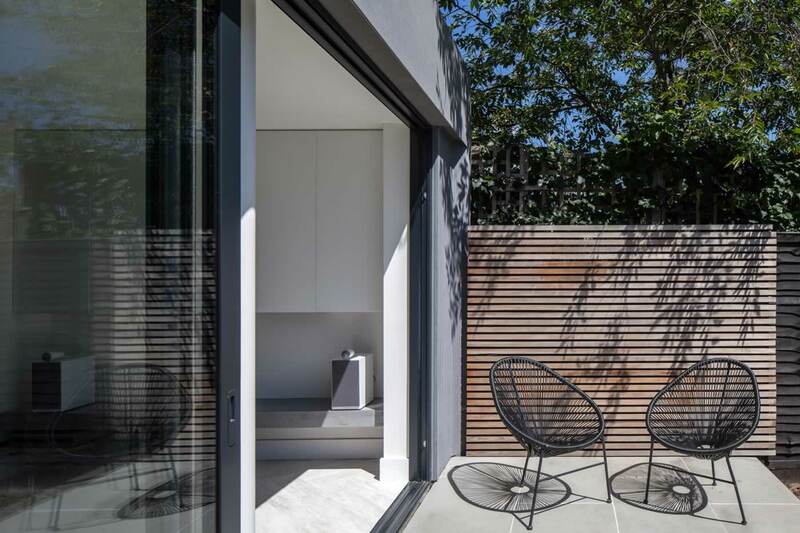 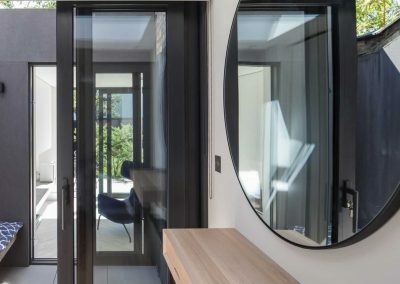 The large sliding door creates an inside-out connection with the garden, which is complemented by an internal courtyard that allows light to penetrate deep into the middle of the building and provides unexpected views through the property. 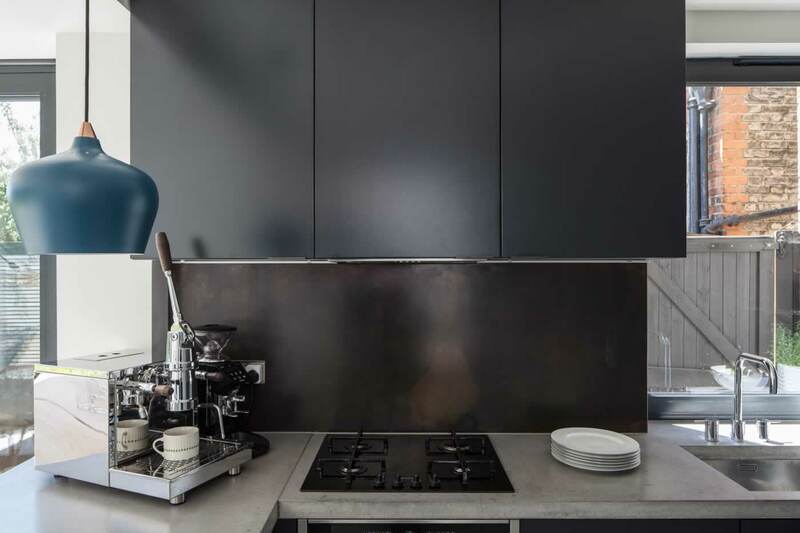 Trevor Brown was a pleasure to work with. 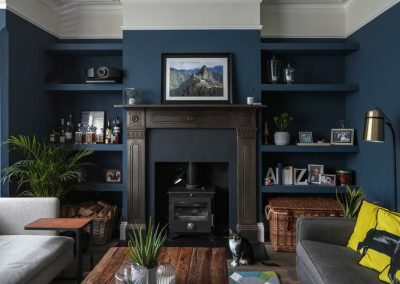 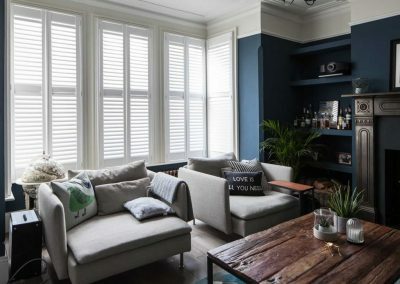 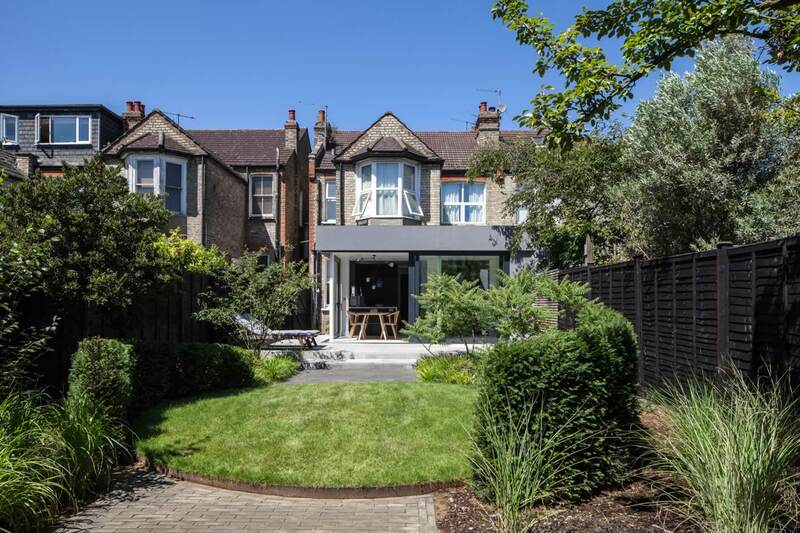 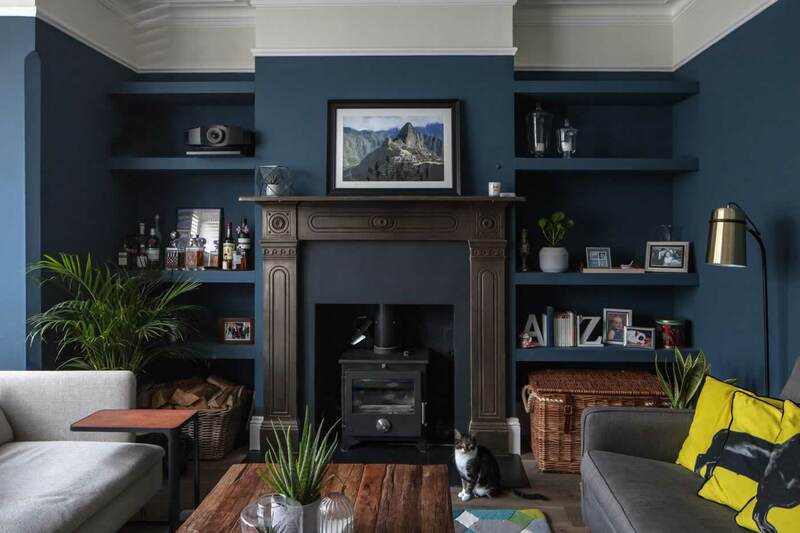 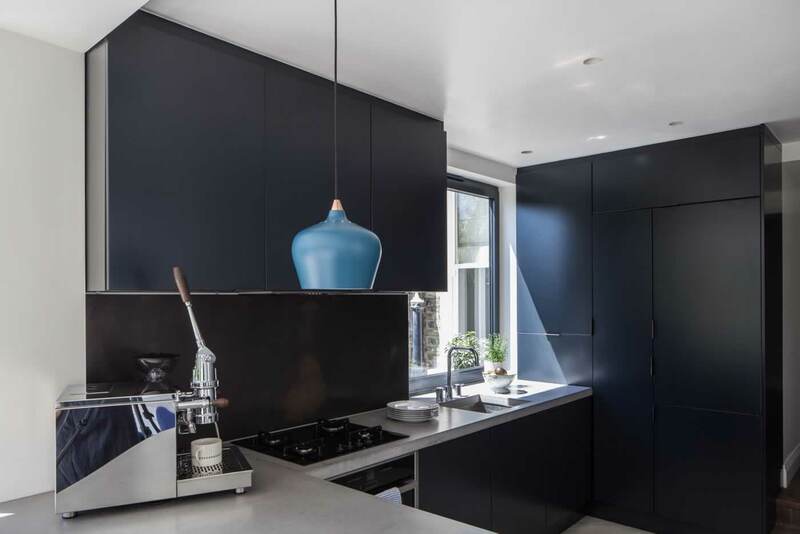 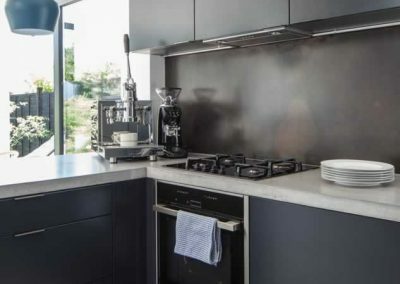 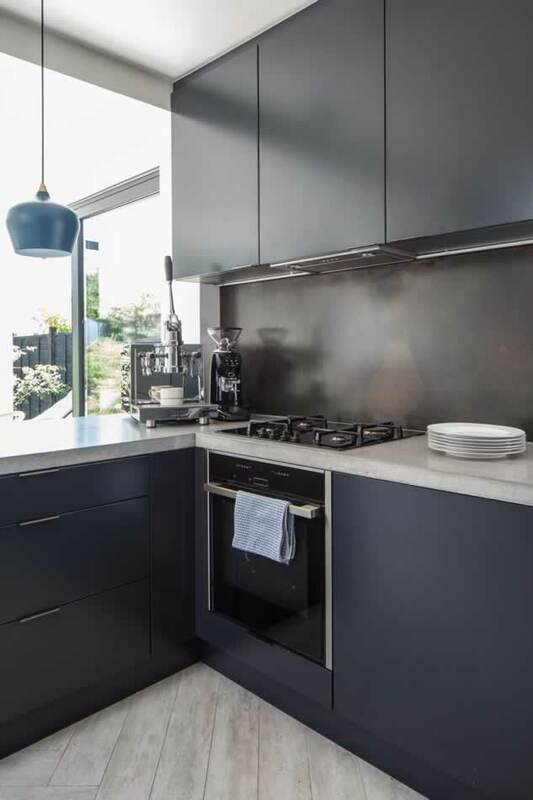 We started with a humble idea of replacing a structurally unsound kitchen with something a bit nicer, and he transformed the project into a fabulous piece of architecture. 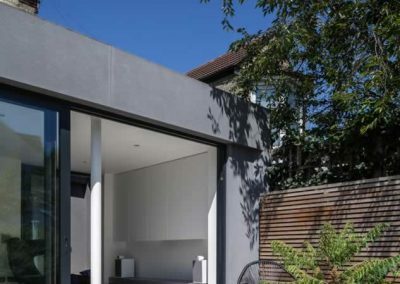 Trevor is knowledgeable, and has an ambitious attitude to even simple projects. 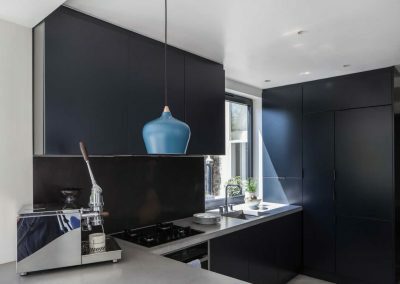 By paying attention to both the structure and the details of the kitchen, Trevor created a space which is a beautiful space and also very functional. 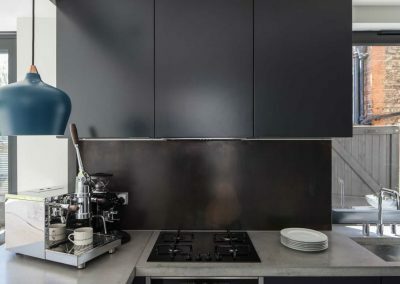 Trevor is a busy man, but he replied to emails, and answered the phone when we had queries. He worked well with the construction team and they were able to take a pragmatic approach to solving problems along the way. 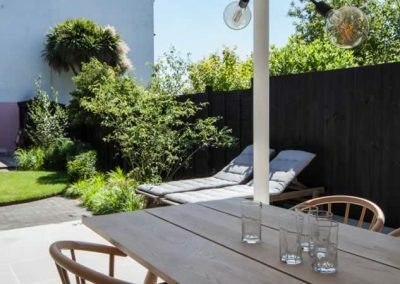 We exceeded the original budget, but that was at least in part because we chose more expensive options when Trevor offered us choices.